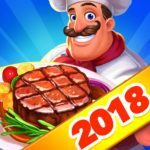 Cooking Dash 2016 is the latest installment in Glu’s popular franchise, and this is just a reminder as this game has been around for several months for iOS and Android devices. 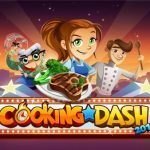 Since the game got an update just a few weeks ago, we’ve decided to give you more Cooking Dash 2016 tips and tricks. So what’s this game about? You’ll be playing as Flo, who will be cooking her way to fame on television as a celebrity chef, and you’ll get to test and improve your time management skills by preparing, cooking, assembling, and serving different dishes in different exotic restaurants, with a live studio audience watching your moves. They’ll cheer you if you do right and earn money, and who knows – they might even be booing your weird or difficult customers, or you yourself if you don’t do the right things! It has been quite a while since we’ve shared some tips for Cooking Dash 2016, so if you’re checking this game out for the first time, we suggest you check out our first list of hints, as well as this new one, which comes with even more tips for success in the game. If you want to encourage repeat business in your restaurant, the first thing you want to do is to make sure that they’re happy. The faster you serve them their meals, the more coins you can earn as a result. You’ll often get bonus seconds from your customers, adding to your timer. But what happens when you lose customers? For starters, you may be penalized if you lose a customer, and since you don’t want that to happen, we strongly advise you to serve the impatient and irate before the more laid-back ones; you can gauge this if their waiting meter is lower than the other people in your restaurant. Probably a simple tip, but one that deserves mention. The waiting meter is what the game calls the meter next to the customer. If it turns orange, that means the customer is in danger of leaving Flo’s cooking show; you’ll also notice that customer getting a bit more aggravated as he or she continues to wait for their food. But when the meter turns red, that’s it – the customer is all out of patience and is ready to walk out of the cooking show. If it’s any consolation, some of your angry customers may still leave bonus coins, so it won’t be a total loss if you serve them when they’re already ticked off. But when the meter turns red, you earn nothing as that means the customer’s gone. One simple time management tip you can try has something to do with entrees and coffee. Customers who request for this can be tended to a little later than others; this is because you need to prepare both the entrée and side first before you serve them up to the customer. Serve the customer their coffee first, then serve them their entrée later – it’s as simple as that, really. Want an example of the above tip in practice? Consider this situation – you’ve got three customers, and customer number one orders an entrée with a side of coffee. Serve customer one his/her coffee once their waiting meter goes down a bit, as this would increase their waiting meter. And once that happens, you can focus on serving customers two and three, then come back for customer one with their entrée. 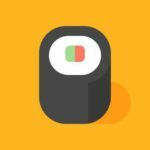 It goes without saying that you’ll earn more coins by serving more customers – that’s possibly the main mechanic in this game you’ve got to remember. Remember as well that customers leave tips after eating; once they do that, tap on the coins so new customers can come in and be served. Unless you collect the coins, a new customer won’t make their way to the previously occupied table. It’s not just food that you need to upgrade, but also your cooking appliances. Your Fryer and your Grill need to be upgraded so as to increase their capacity and decrease the time it takes for items to be cooked. Upgrading your Battering Station and Chopping Block, on the other hand, are great for increasing speed when preparing your meals. 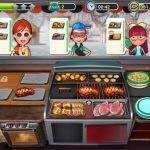 If you’ve got new slots on your grill or fryer, that will allow Flo to grill or fry multiple items, thus helping you get the job done faster and helping you earn more bonus coins. Additionally, burn time is increased, which means food won’t burn too easily. Things can get really hectic in your restaurant/cooking show, as everything here is under time constraints. But did you know that you can have Flo work with two hands like real chefs do? For example, you can have her hold a dish with her left hand and some ingredients on her right; this is very useful when it comes to multitasking and doing multiple things at the same time. Lastly, if you want to farm for more coins for your upgrades and other goodies, it’s going to be all about grinding. Go back to previous seasons and replay them; this is also great as it gives you a chance to score a perfect five stars on the previously completed levels where you hadn’t.